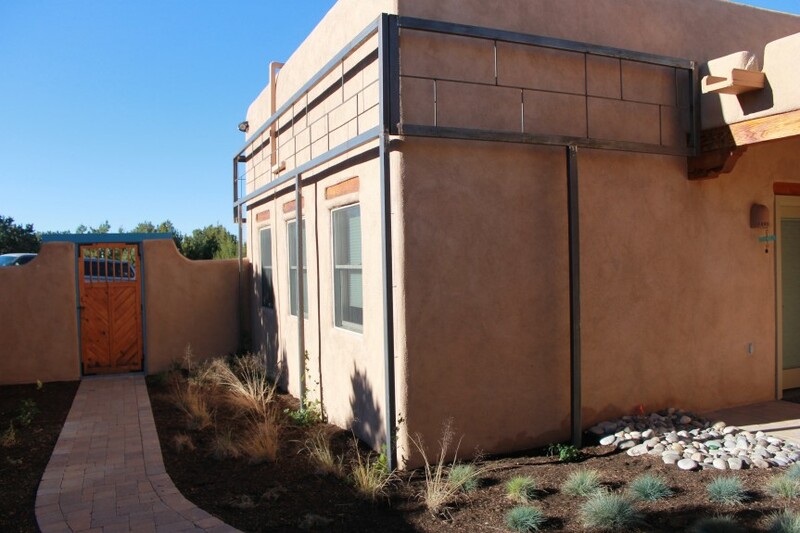 We enjoyed working closely with the homeowners and dedicated subcontractors to revitalize the outdoor living spaces at this lovely west side Santa Fe home. 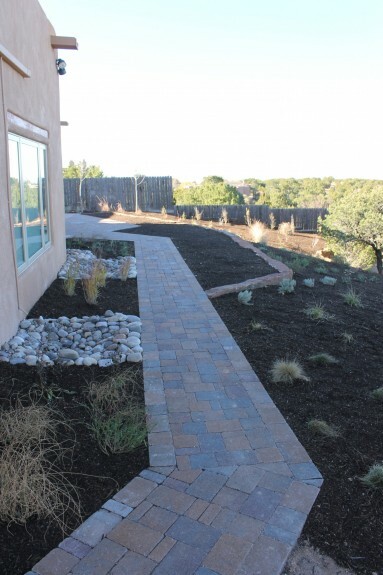 A diverse native plant palette, expanded patios and pathways along with our custom wraparound trellis invite participation and appreciation of life in this expansive landscape. 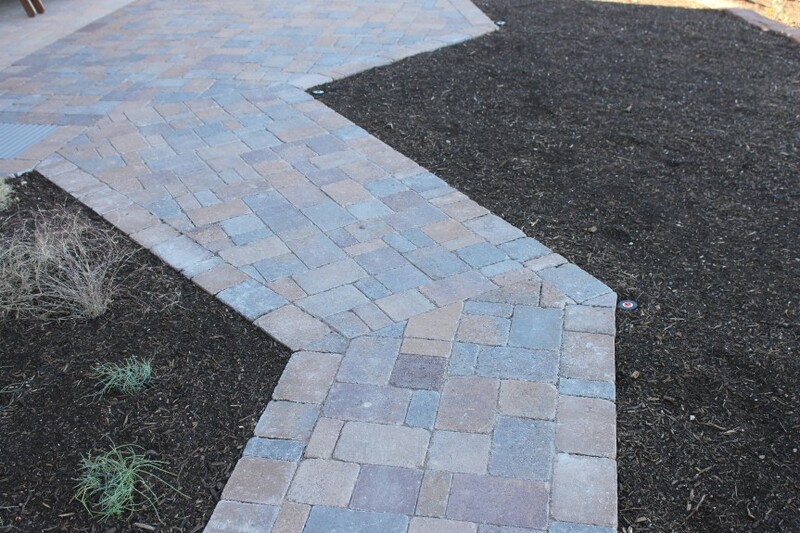 Belgard paver patio connects front entrance to side patio to rear portal living area. 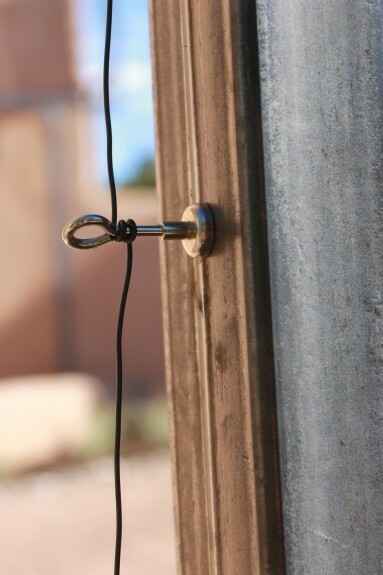 Custom designed wraparound steel trellis. Fabricated by Larry Swann. Trellis connect garage to front courtyard garden and main entrance. 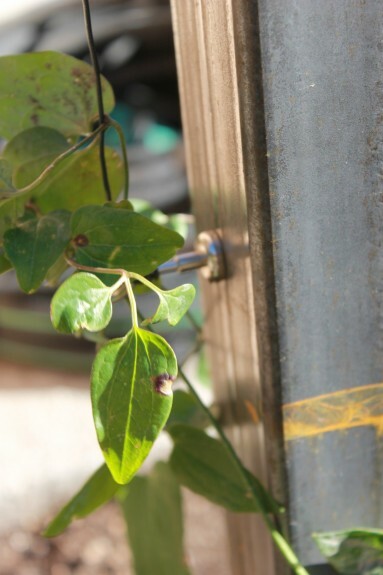 Sturdy magnetized eyelets and steel wire subtly support vertical green of native Clematis. Passive water harvesting from canales to generous splash pads beneath walkway to plant roots – prevents erosion while hydrating plants. 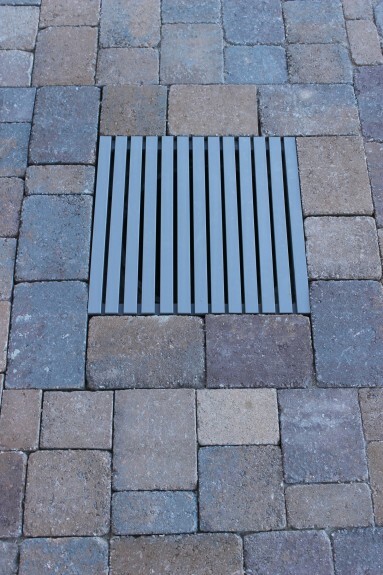 Custom designed and fabricated powder coated steel grate for seamless patio surface. 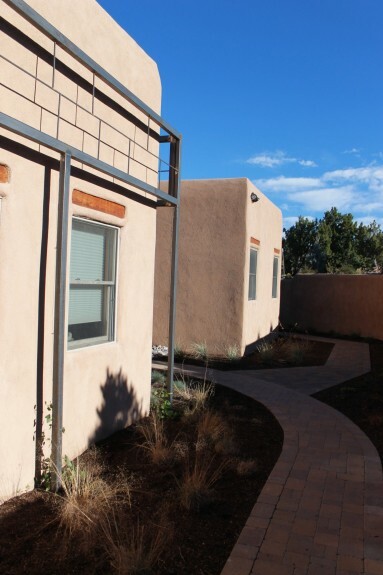 Allows for canale runoff conveyance beneath patio to plant roots beyond. Grate fabrication by Larry Swann.